2017 is dead. Long live 2017! I wanted to take a moment to spotlight some of my favorite new things. So here’s my “Best of 2017” list… in sets of twos! Shredder’s “Dangerous Jumps”- Fantastic new hip hop project the Doomtree collective. If you dig Run The Jewels and midwestern hip-hop, you’ll love this. The album is good, but I might like the ep even better. Dirty Projector’s “Dirty Projectors”- The best breakup record of all time? 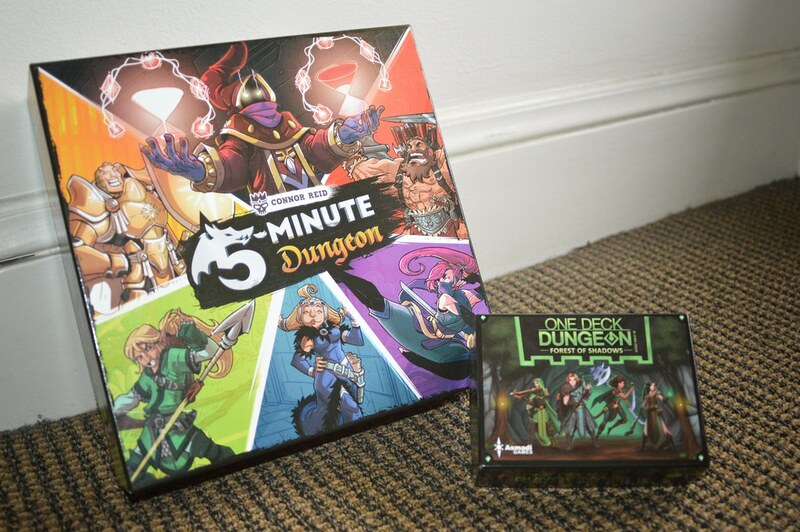 Five Minute Dungeon- A fantastic collaborative card game for 2-4 players. The mechanic is really simple and each level only takes 5 minutes to play. One Deck Dungeon- While each dungeon takes considerably longer than 5 minutes (1-2 hours) this game is really replayable. We got hooked on the original last year, and this year the Forest of Shadows expansion came out. Can’t wait to play all the new levels, but we already love the new characters. The Big Sick– A strong debut from Kumail Nanjiani. Can’t wait to see what he does next. Get Out– Another strong film debut. Jordan Peele knocked it out of the park with this psychological thriller/horror thing. The New Radicals- How has this not been released on a big scale yet?! We saw this documentary at Sundance and loved it. The movie focuses on techno-anarachists, Cody Wilson, and the 3D printed gun. Really interesting topics well told. Time will tell how this subjects will age, but I’m glad the crew was there to document this interesting period. Icarus- How did this even happen?! The movie starts off with a bicyclist who wants to prove how easy and common doping is in sports by using himself as an example. Things quickly derail, and the real story emerges. It’s so bizarre and intriguing that it feels like a one in a million odds that something like this will ever get captured on film again. Fencing– Christine and I have been taking fencing classes at Halbertstadt Fencing Club and loving it. If you live in SF, I highly recommend their month long intro to fencing class. PC Gaming– I wrote a while back about how Christine and I finally set up a Windows machine to work our way through my huge collection of Steam (and Humble Bundle) games. We’ve been playing Superhot, Ronin, Untold Stories, and many more great games. Kaijumax (season one and season two)- This comic series is inspired by Kaiju shows (live action Japanese shows like Godzilla and Ultraman) and classic prison films. It’s easy to see strong political statements about race and the problems with the prison-industrial complex, but this book is really just about telling a strong story with unusual characters. 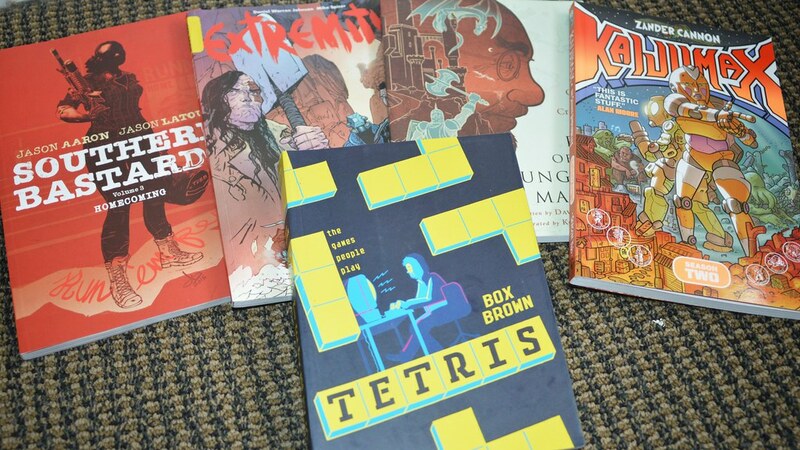 Tetris: The Games People Play– This documentary-style comic explores the creation of Tetris as well as the rise of gaming in the 80s. Rather than a straight-forward approach, it really takes advantage of the visual medium to create something unique. Another similar docu-comic is Rise of the Dungeon Master which tells the story of Dungeons & Dragons. Both of those books are must haves. The Jesus Lizard– It only took 25 years, but I finally got to see The Jesus Lizard live at the Independent. It was every bit as good as I heard it would be. You’ve Got My Eyes- A dork-punk science fair organized by my friend Mark Krawczuk. 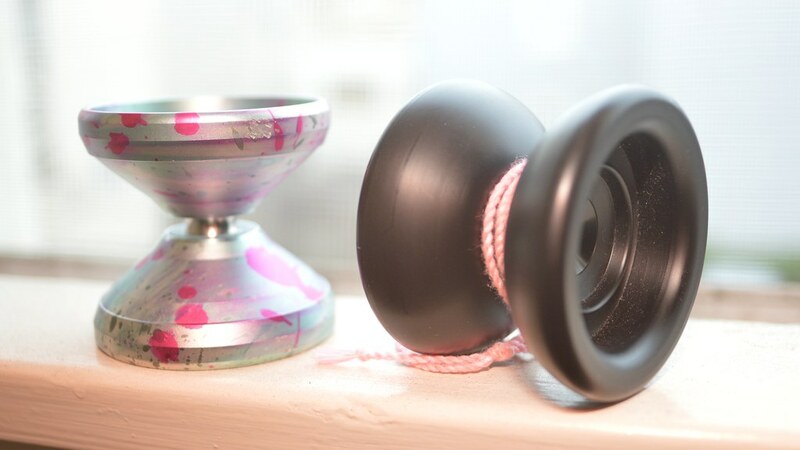 The Notus by YoYoEmpire- A fun delrin yo-yo with a classic feel. It’s got that nice rounded shape that makes it feel good in the hand, plus modern features like fingerspin areas. The Master Galaxy by C3 Yo-Yo Design– I hate big yo-yos. Or at least I thought I hated big yo-yos, then I played with the Master Galaxy and realized what I’ve been missing. It may not be the yo-yo I carry in my pocket, but anytime I’m working on a hard new trick, I usually pull this thing out. Making yo-yo string- I finally learned how to make my own yo-yo string. It’s terribly addicting. Cooking nuts- Honestly, I just wanted to have two things for each section. Yeah, I’m taking walnuts and pecans, covering them in honey and butter, then roasting them for delicious snacks, but is that really a skill? Superhot: Hi [friend_name_here], you have to check out this game. It’s the most innovative shooter I’ve played in years. Avatar: I always assumed this show was pretty lame, but after hearing this Imaginary Worlds episode, I felt compelled to check it out. My jaw dropped as I discovered each episode was better than the other. It’s incredible! In every way, how did they ever make this on Nickelodeon? And the sequel, featuring Kora, is just as good!